In California, drivers are required to carry car insurance. 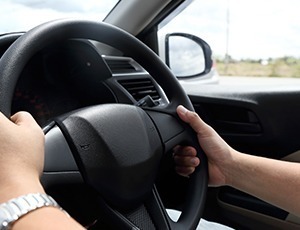 However, if you were injured by a negligent driver, you may soon learn that while it is a requirement, many people drive without insurance or without sufficient insurance to cover expensive insurance claims. At The Law Offices of Suizi Lin, we represent people who have been injured by uninsured and underinsured drivers. Were you injured in a car accident caused by an underinsured or uninsured motorist? Call The Law Offices of Suizi Lin at (510) 689-1988 and arrange your free initial consultation with one of our lawyers. California drivers are required to carry $15,000 of insurance coverage. Our attorneys know that the medical costs associated with injuries can far exceed $15,000. When serious injuries ― including brain injury and spinal cord injury ― result from car accidents, the expenses surpass what any person could be expected to afford. There is a large difference between required insurance coverage amounts and the damages caused by negligent drivers. Our firm has extensive experience bringing insurance claims under uninsured and underinsured motorist policies. We have been successful in obtaining coverage where none was thought to have existed. Do I have to bring a case against my own insurance company? In short, yes, you will be placed in a position where you are seeking compensation from your own insurance company. Our firm provides experienced communication and facilitates negotiated settlements in a situation where some people may feel uncomfortable. Your insurance company may have interests adverse to yours and you want an attorney to aggressively represent your interests in receiving compensation. If you or a loved one was injured by an uninsured motorist, talk to one of our experienced attorneys. The Law Offices of Suizi Lin can be reached at (510) 689-1988. Or, you can contact us online to schedule your free initial consultation.